How Do You Find Peace? Find Your Spiritual Life Coach. Free Stress Reducing Healing Code! Do You Want a Better Holiday Experience? Foiled by Your Own Self-Sabotaging Behaviors? Why Go for Optimal Wellness? Why some clients have difficulty with affirmations–and what to do. "Alice is wonderful to work with, she is very open and easy to talk to. 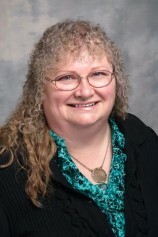 I found her online because I was specifically looking for someone in the Seattle area with a background in Kinesiology. She has so much in her repertoire that compliments her style such as intuition, life spiritual coaching and certified counseling. Alice had a way of reading me at my very core and understanding when I had more to say or when I was ready to stop. She is brilliant in her field and I'm very lucky to have found her. She took my healing to another level. I would recommend her to anyone that wants a caring approach to solving the mysteries of life." Alice Buehring is a certified counselor, integrative therapist, empathologist, energy/spiritual healer, intuitive, master herbalist, life coach, healing codes practitioner, author and has a private practice in Sultan, WA. She works with clients to shift belief structure, habits of thoughts, and helps them remember who and what they truly are and live from that perspective. Enter your email to be notified when we update our site. I was truly blessed by my work with Alice. She is guided and has a way of knowing what you need to work on when you need to work on it. She is very loving and encouraging in her approach, where she uses her knowledge to teach you specific tools and understandings that are sure to help heal your life. Alice provided me with healing codes and affirmations to help remove the feelings of overwhelm, not being supported, and feeling like I’m left to do everything alone but not good enough to do it. After saying affirmations for 21 days and doing the codes for each of the mentioned situations, I could visibly see things changing in my life. It was like an on switch! In addition to those miracles, Alice was helpful in teaching me what works in relationships and how I can be a more loving, compassionate, and allowing person. My ability to be in relationships has improved dramatically. Working with Alice serves as a channel to learning valuable gems of knowledge and tools that will help you change your thoughts, your feelings, and your life. What a blessing it is to have people like Alice in this world to help guide us and return us to our true selves. I was skeptical at first, but my work with Alice has significantly changed my life in a number of positive ways. My business is flourishing, my personal relationships are more satisfying and my confidence is at a new all-time high. Alice Buehring's services are priceless. Everyone I know could benefit from her work. I can't believe how amazing my life has been since working with you and attending some positive thinking workshops. My business has grown to full capacity in a year and I actually have a waiting list. You helped me to see that writing my book was the core of my thinking that I could not see; I have my book about half way completed. Also you helped me to know the type of man I wanted in my life. After working with you, I knew I must attempt to be with the man that I have loved for years. I broke up with him several years ago, but I realized it was me not him and he is everything I have always wanted in a man. We met again in August after seeing each other at a mutual friends wedding. We plan to marry in June. I have never been so happy. I think positive every day, I know I am very loved, I feel wonderful and I am very happy and calm. Thank you Alice for guiding me to my full potential and peace. I knew I was struggling with some old issues that were holding me back but didn’t know how to resolve them. I’m so glad a friend of mine recommended you. I’d seen similar work done before on someone else at a conference and was really impressed at the time. I’m absolutely blown away now that I’ve experienced it myself! It’s clear you have a knack for finding the problem areas and offering simple techniques for fixing them. Although it’s only been a few weeks since my first visit, I’m already seeing positive changes in my life and business. Bigger, better opportunities are flowing my way and I feel open to them in a way I never was before. You said I’d see incredible, almost magical changes in my life if I followed your advice and I’m now a believer. I can’t wait to see what happens after my next visit! Lifeforce Natural Healing Alternatives™  LLC © 2019. All Rights Reserved.